VCE is emerging as the 800-pound gorilla of the new datacentre. While a (what’s the collective noun… ah, yes) host of server-room startups have emerged, using new technologies to disrupt the incumbents, this company was born of an alliance between virtualisation pioneer VMware, its parent the information storage and management giant EMC, and networking kingpin Cisco. VCE has seen what cards the newcomers have played and countered with pre-integrated infrastructure ‘blocks’ that speed up deployments and give customers the much-prized agility to change infrastructure. The six-year-old organisation has a slightly tangled history. It was announced at the EMC World Conference as ‘Acadia’ in 2009, only later changing name to VCE. Originally the name was interpreted as being the initials of the companies involved but then explained away as standing for Virtual Computing Environment. Late last year, EMC acquired Cisco’s stake in VCE. The man leading this venture today is Praveen Akkiraju who was made CEO in 2012. He made his name at Cisco, he says modestly, as a “product guy”, taking some of the company’s key router products from idea to market. He did 19 years at the Silicon Valley giant, having joined “straight from school” when it had fewer than 1,000 staff. However, there was a certain amount of soul searching before Akkiraju accepted the job offered by the high-powered executive triumvirate of former Cisco CEO John Chambers, EMC CEO Joe Tucci and VMware CEO Pat Gelsinger. As that “product guy”, Akkiraju had to ask himself “am I the right guy to go run a solutions company?” he says. There would have been other concerns, I suggest. Not least that these alliance efforts tend to become very political with lots of scope for fallings out as products and strategy cross over and as alliances with other vendors lead to decision making and vendor strategy becoming increasingly complex. But the backers wanted a trusted person who could “understand the next level of detail” and explain that to the market, and Akkiraju sensed a rare chance. “It just seemed to me that the datacentre was ripe for transformation and there was an opportunity to define a new marketplace,” he says. 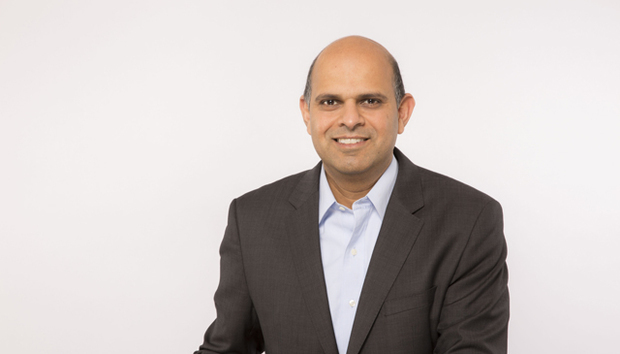 Akkiraju says that by “rallying to the customer” and by demonstrating it could deploy in a month to a month-and-a-half rather than six or nine months, VCE has earned its position as the leading convergence player in its enterprise heartland. With annualised revenues of over $2bn, 50% annual growth and a treasured position in the top-right square of Gartner’s Magic Quadrant, VCE has certainly found a place and succeeded in disrupting the disruptors. Some may carp that that success is a modern version of the old idiom that ‘Nobody ever got fired for buying IBM’ but many large customers will appreciate using tried-and-tested technologies from incumbent suppliers. Its emergence is certainly a challenge for the engineered or hyper-converged systems that have sprung up from the likes of Nutanix and SimpliVity and the new Flash-inspired storage players like Nimble Storage and Pure Storage. The sprawling changes that have affected the datacentre are still being felt and certainly the old incumbents have had a discomforting time of it. But VCE has found its sweet spot and is continuing to broaden out its offerings based on the assumption that many buyers will like to buy from familiar vendors but with the blood, sweat and tears of integration accomplished in advance.